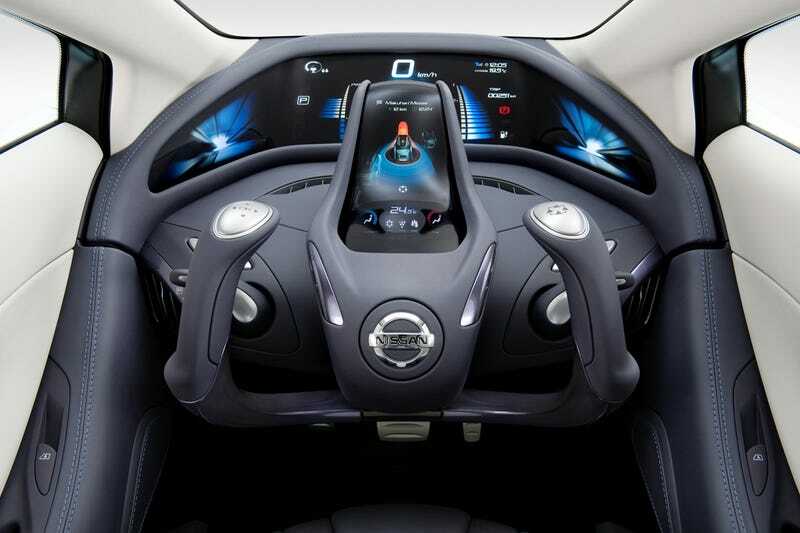 If Nissan has its way, your next car's cockpit will look like an star fighter, straight out of a Macross remake. This is the Nissan Land Glider, an electric car with two seats. it has a narrow body, which Nissan says will help reduce traffic congestion by allowing more cars in the same city space, as well as making parking easier. It has a balancing system to make it stable as it takes curves, compensating for inertia with the car's body movement. The winner, however, is that stunning cockpit equipped with flat color screens and joysticks with touch surfaces. I really hope it has lasers and anti-matter cannons built-in too.